Livestock and wildlife graze on rangelands, grasslands, savannas and marshes that cover 45 percent of Earth's land surface. 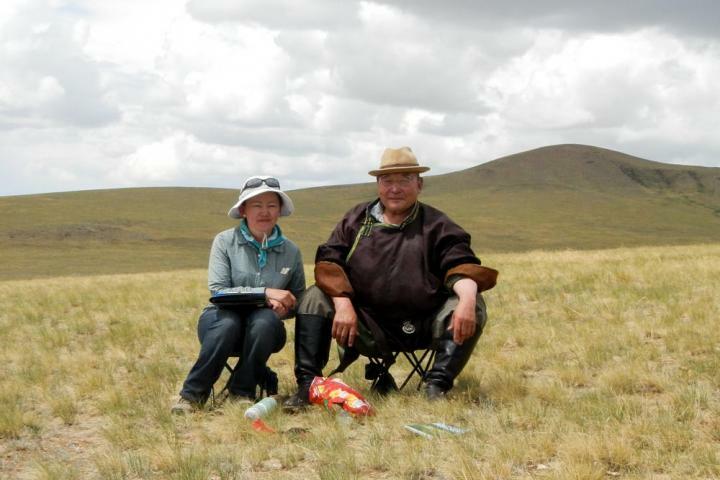 Damage or degradation on these lands is a major concern globally, and the subject of widespread scientific study in countries including Mongolia. An estimated 70 percent of the rangelands in Mongolia are damaged by livestock and unregulated land use. But new research led by Colorado State University found less irreversible damage — up to 10 percent at most — from livestock in Mongolia's rangelands. This positive news is countered by findings that show key areas in the country may be reaching a tipping point of irreversible damage. The Mongolian herding tradition dates back at least 4,000 years — well before the time of Genghis Khan — and breeding and caring for sheep, cattle and other livestock contributes up to 15 percent of the country's total gross domestic product. Irreversible land degradation is a growing concern, as these areas must continue to support livestock that outnumber Mongolians 20-1, a ratio consistently among the highest in the world.